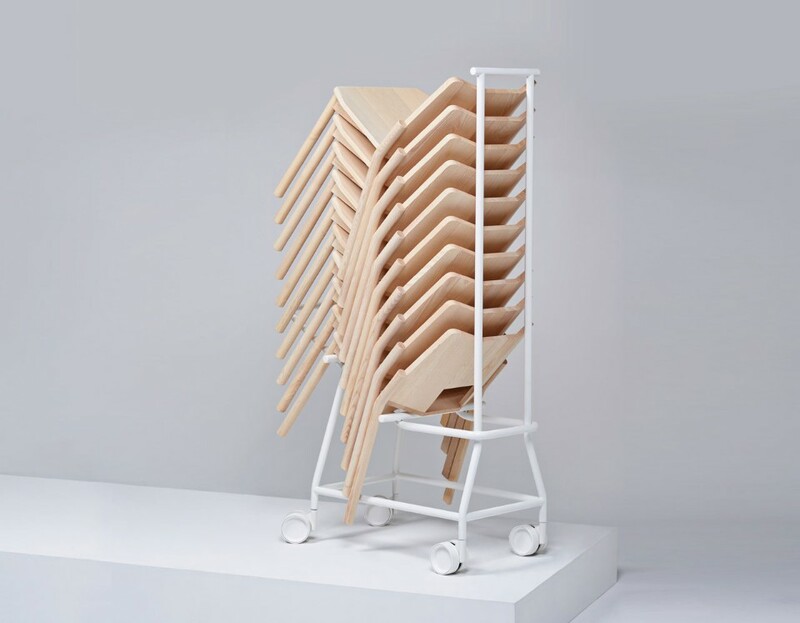 stacking - trolley available. solid ash in natural, Ash available in black, olive ash, white, red, walnut stained or chestnut stained. Powder coated metal in white or black finish. 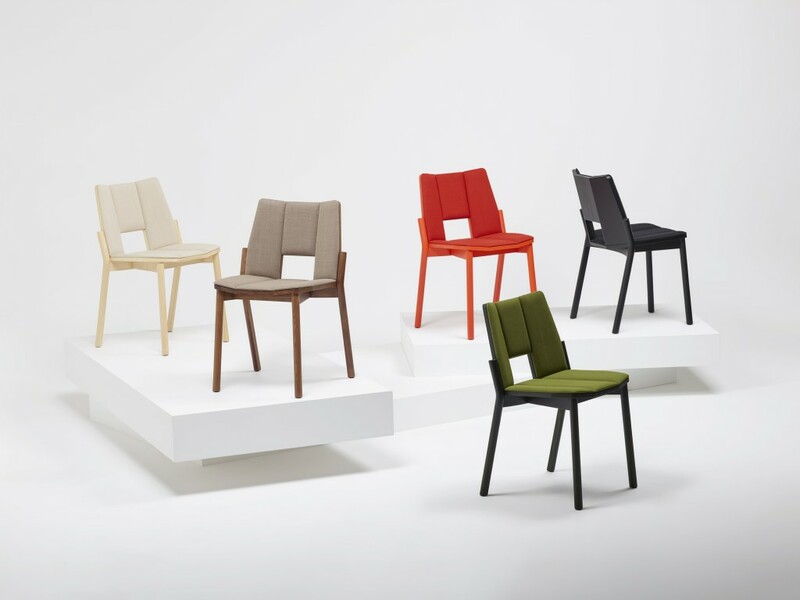 Tronco has surprisingly natural comfort and works well in multiples, not just alone. Its form is modest enough so that it takes on the appearance of ‘texture’ when shown in numbers. 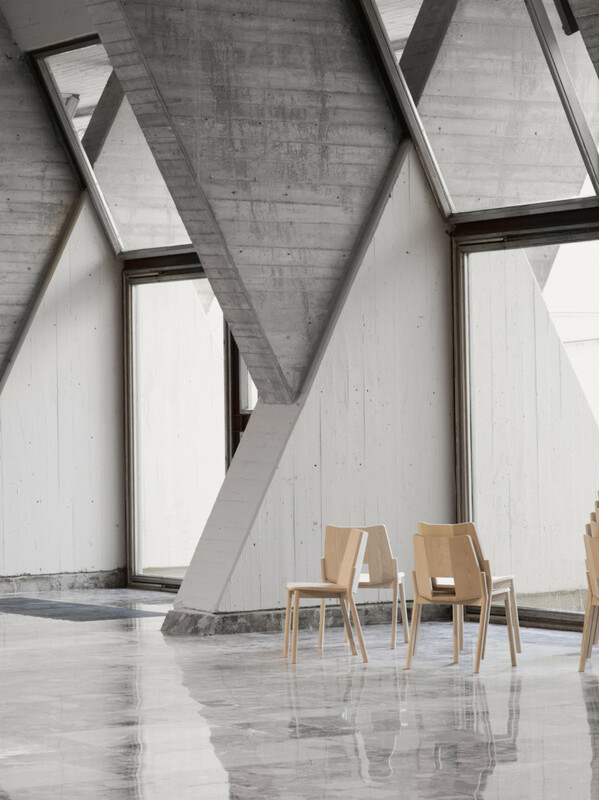 It lifts the atmosphere of interior spaces that require many chairs, whether it is a dining hall or a chapel. Tronco, in effect, creates a terrain of its own in any architecture. A range of coloured stains help to bring out the ash grain and add further dimension. 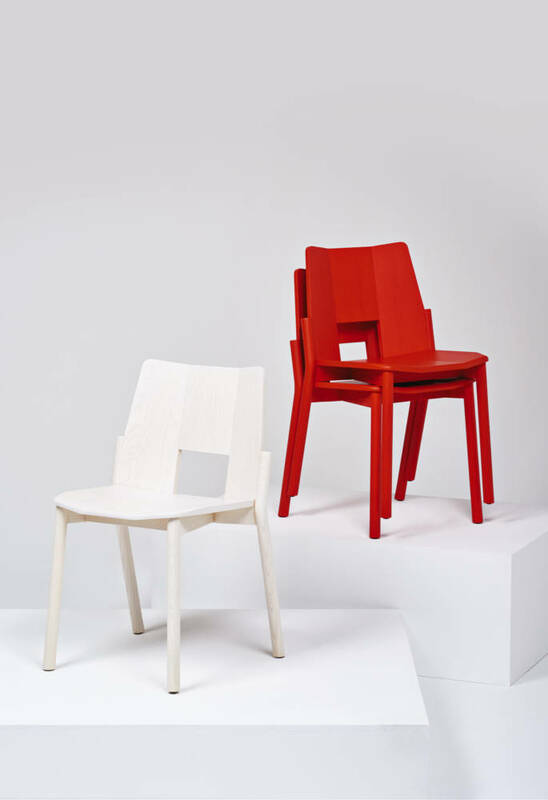 We accompany the Tronco chair with a table, similarly made and chamfered at the edges so that it can join easily with others. 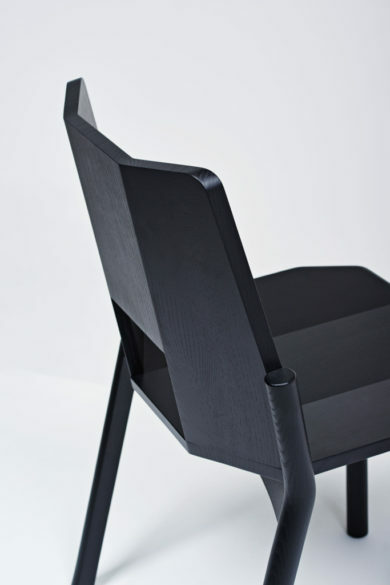 With one or many, Tronco evokes solidity rather than frame.